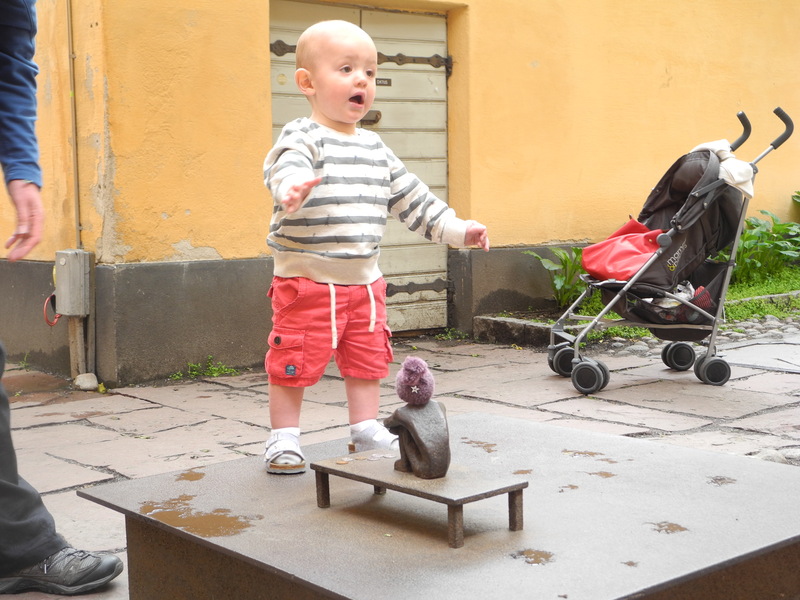 STOCKHOLM is the city where Santi truly found his feet. 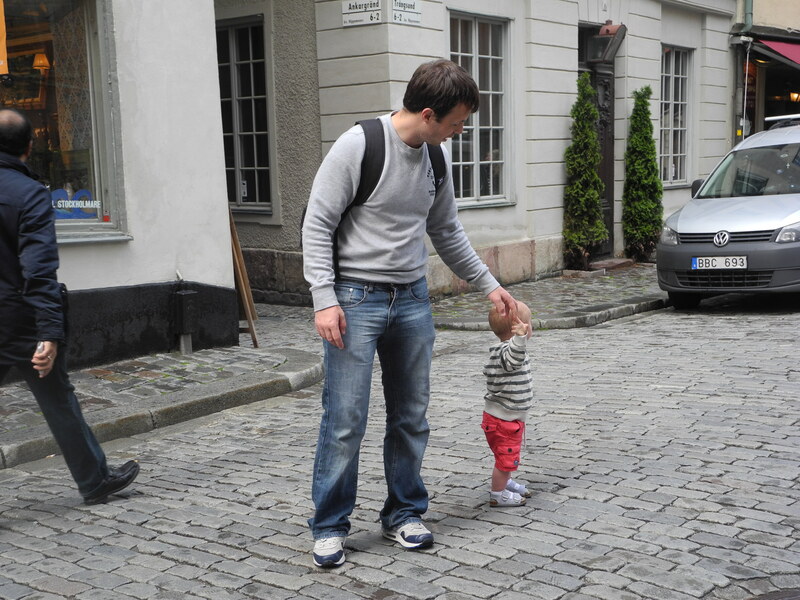 He’d been on the move for quite some time, but always holding one of our hands and before long asking to be picked up. 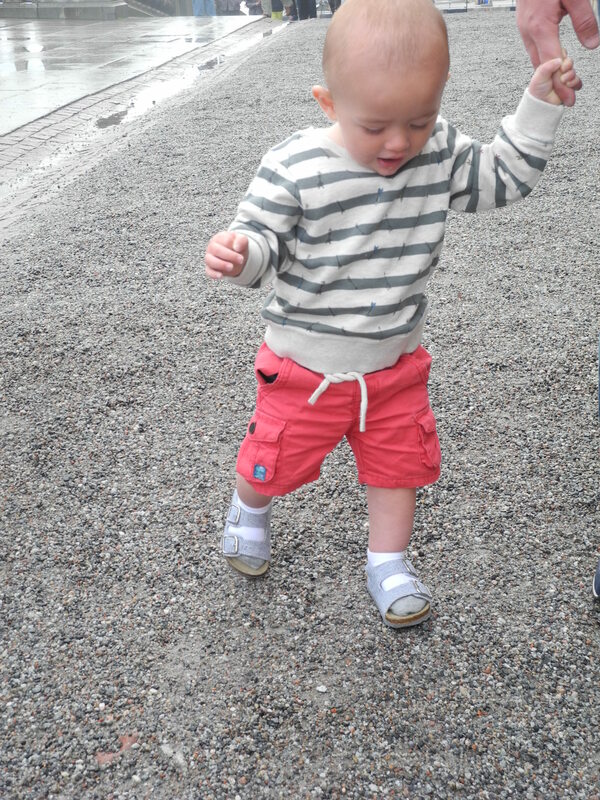 So to end up pushing an empty buggy around half the city while he explored the streets was a bit of a shock! As I said in my post about Denmark, Santi was a bit unwell over the first few days of the holiday, and wasn’t quite himself. 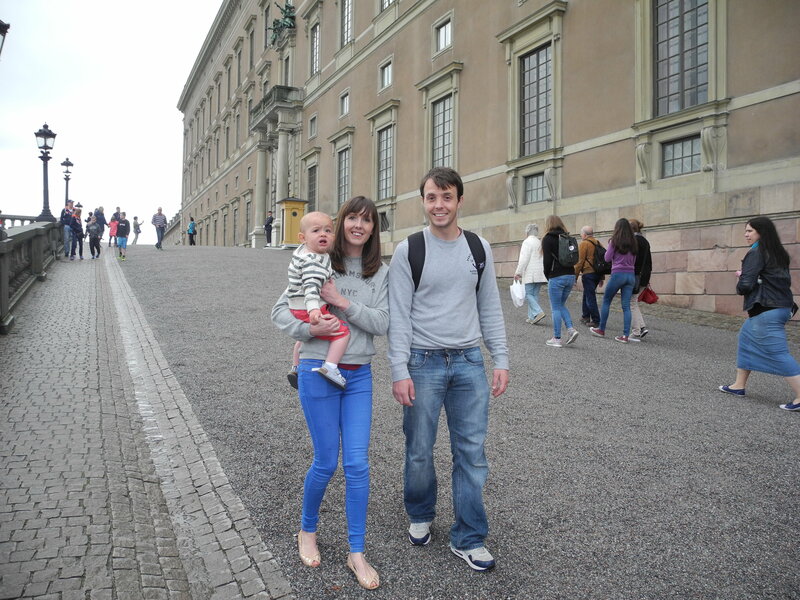 Our day in Sweden seemed to sort that out! 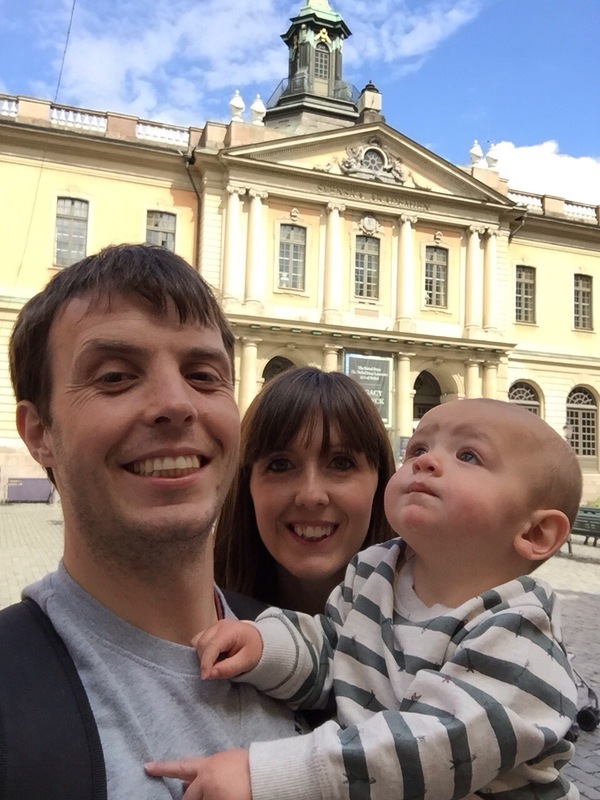 We started off by taking our capital city challenge flag photo at the palace to make sure we had it in the bag in case Santi needed a nap, and then headed off for a look around … but not before walking up and down the ramp a few times! 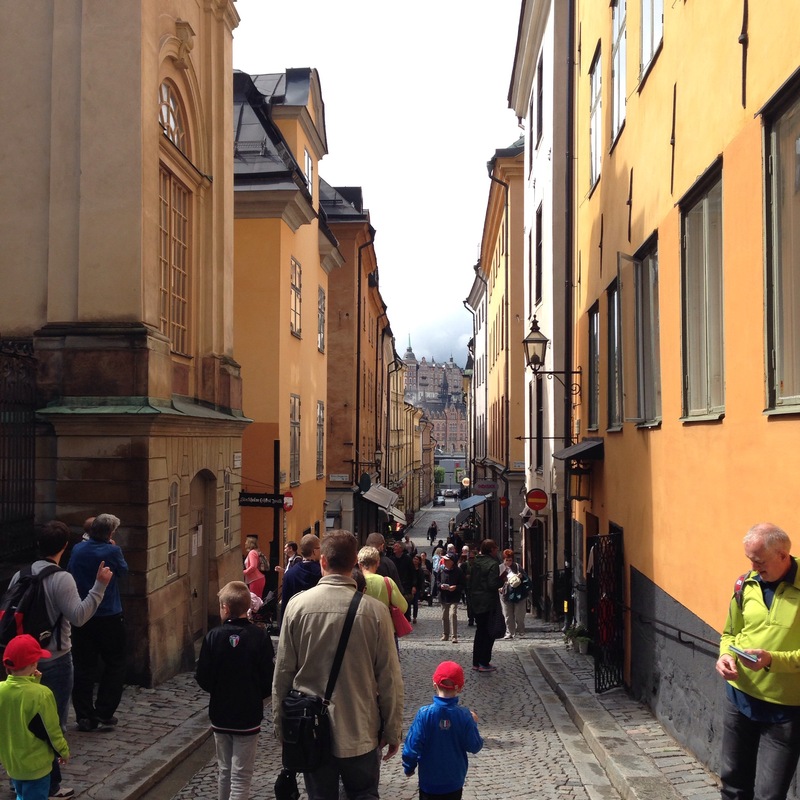 The bus from the port dropped us off in the centre of the city, a short walk from the pretty cobbled streets. 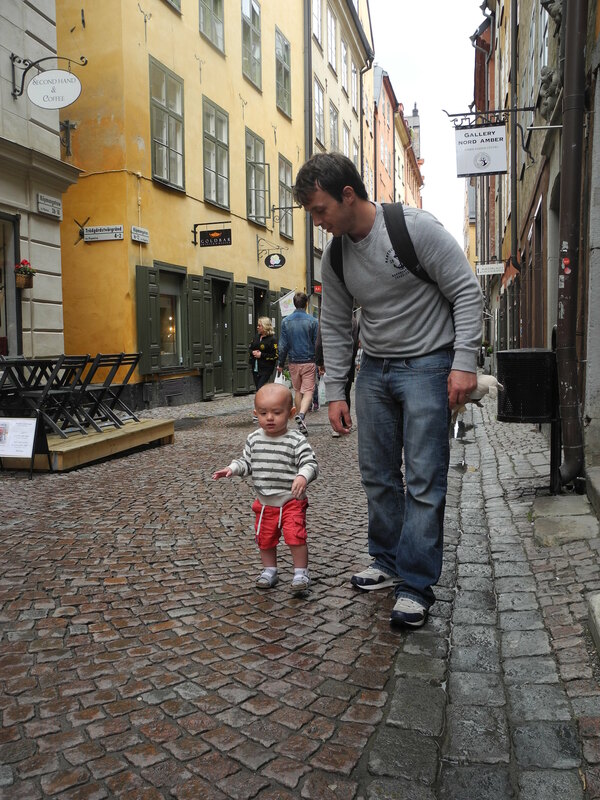 With no traffic it was safe enough to let Santi toddle along, and Stockholm quickly made it into my list of favourite cities for having a lovely atmosphere and friendly people. 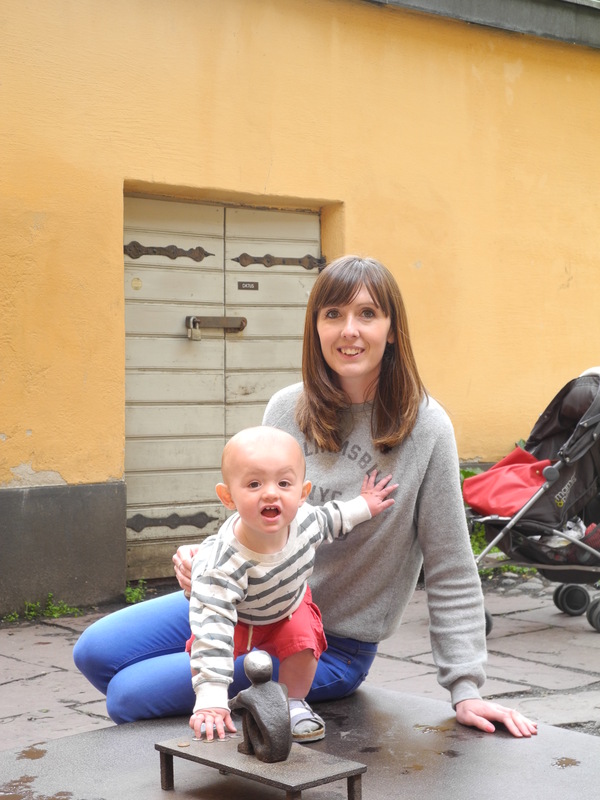 There were lots of quirky little shops (to Stew’s dismay), and we had a bit of a discussion over whether I was making up the phrase Scandi chic … it’s an actual thing, no? 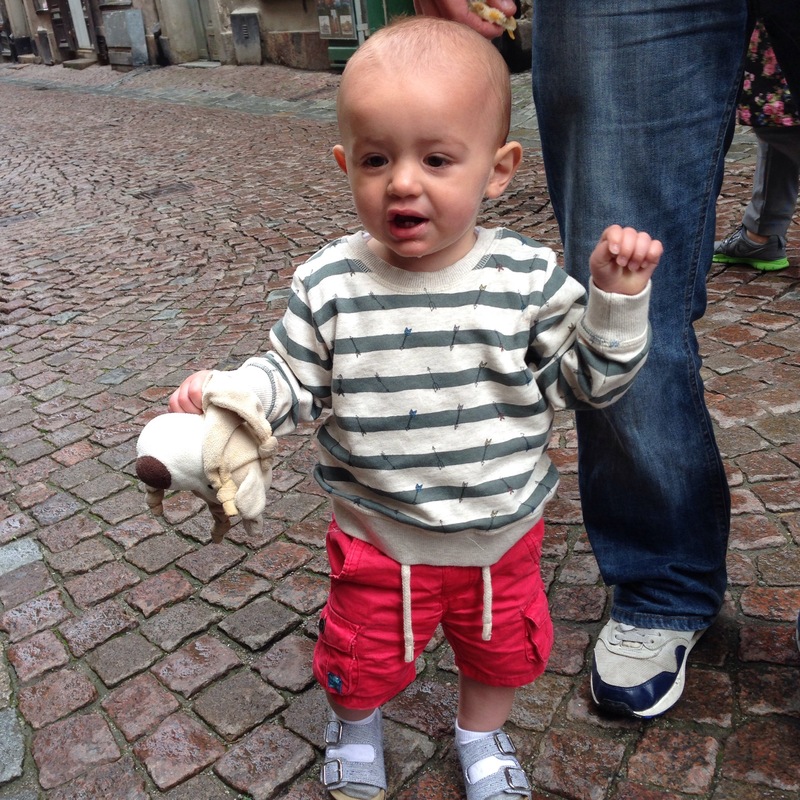 I might have got a little bit over excited by the little children’s clothes shops and could have spent a fortune filling up Santi’s wardrobe (they get the whole monochrome baby thing over there. 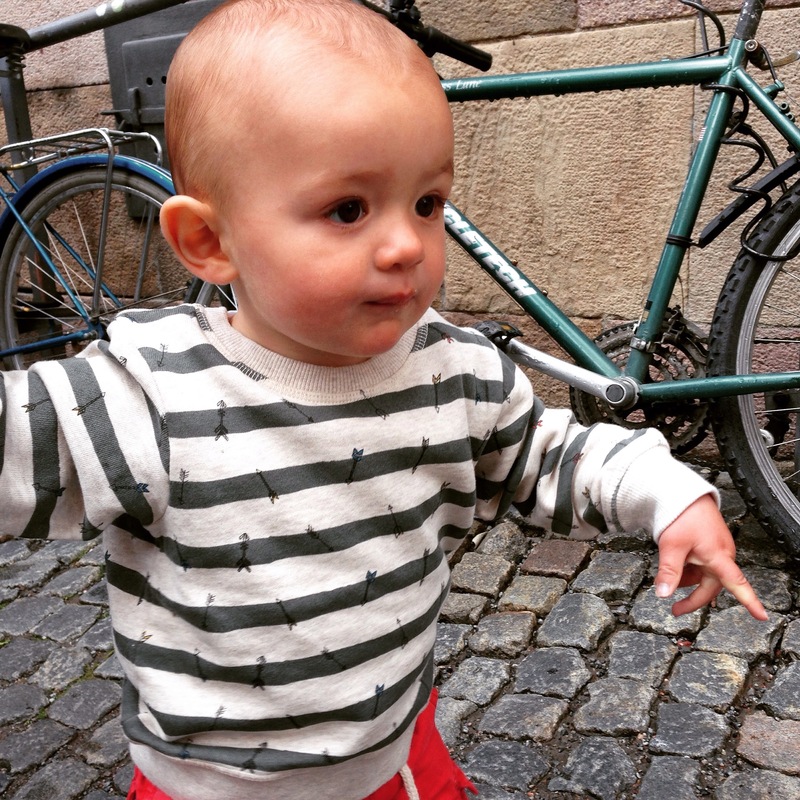 After briefly walking along the main shopping street, which is more chain shop-heavy than the other side of town, we headed to Ridderholm Church and along the waterfront, which was far enough for Santi to drop off in the buggy. It was so quiet away from the crowds and worth walking that little bit further for a bit of calm. If the weather had been nicer we would have stopped off for a drink at a mobile coffee shop, which had deck chairs around it overlooking the church. Choosing a Baltic cruise even in June isn’t the best plan if you’re after a sunny holiday, and Stockholm was fairly chilly the day we visited. After a walk around we needed a drink to warm up – and this was the only thing that let the city down. 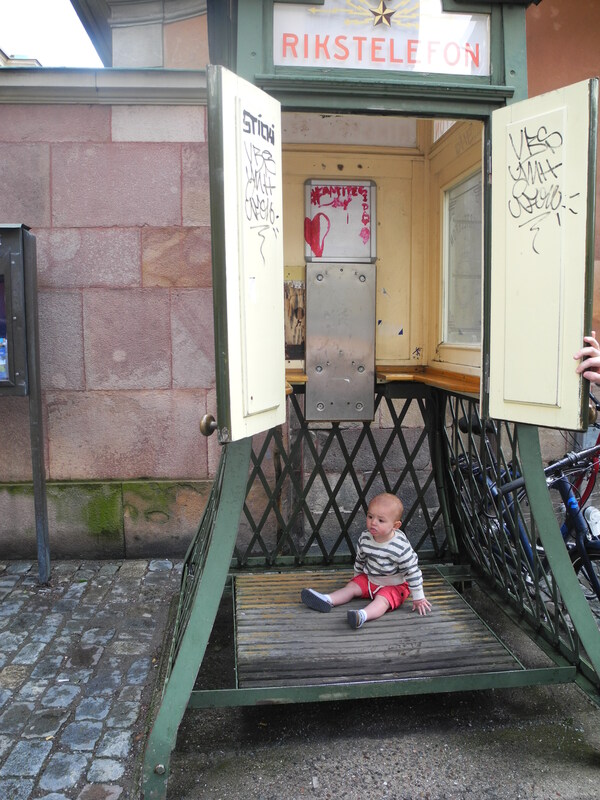 The first place we attempted had a big sign outside saying no prams, and the second, although nice enough, had no baby changing facilities. And this is how we ended up changing Santi on a table in a vault. Yep, that’s right, an underground changing experience. Nothing like dark and creepy to speed a nappy change along! 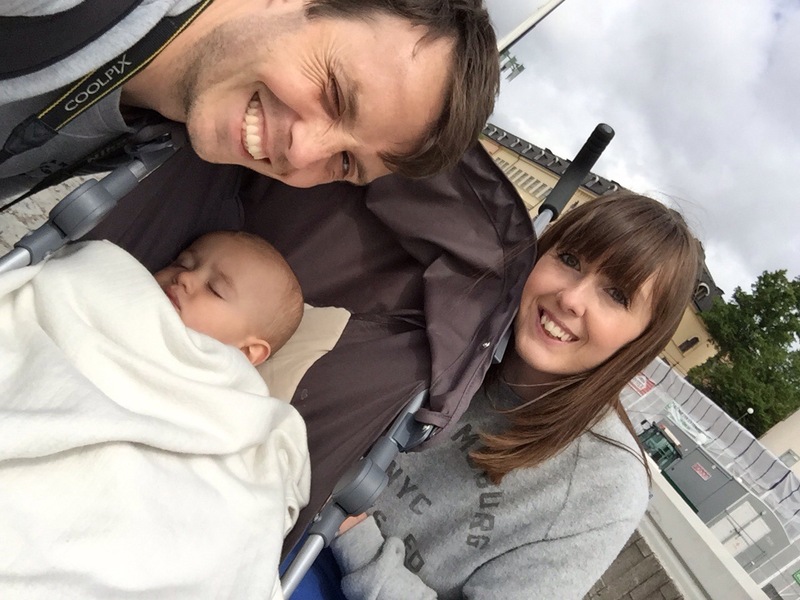 Travelling with a baby means looking for different sights to when it’s just the two of you – Santi isn’t going to be impressed with churches, for example – and our challenge for the day was to track down the tiniest little monument I’ve ever seen. 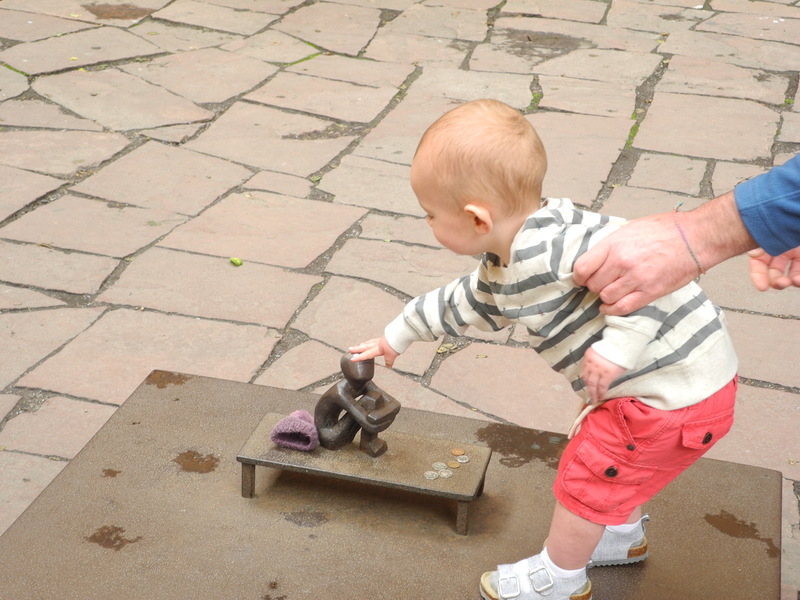 Stew had read about the Boy Looking at the Moon, the smallest statue in the city, and we were intrigued to see it. And it was worth it to see Santi’s reaction! He climbed straight up onto the stand and started patting the little boy on the head – which apparantly brings good luck. We got there just after a tour group had left, so had a little while for Santi to play, shout excitedly about his little find and attempt to steal the money left at the statue (we made sure it was all put back). It was nearly time to head back to the ship, so we had a last wander around the streets (and popped into one or two more shops), getting back to the bus just as it started to rain. One of my all time favorite trips was a Baltic cruise with my parents and sister when I was 17. 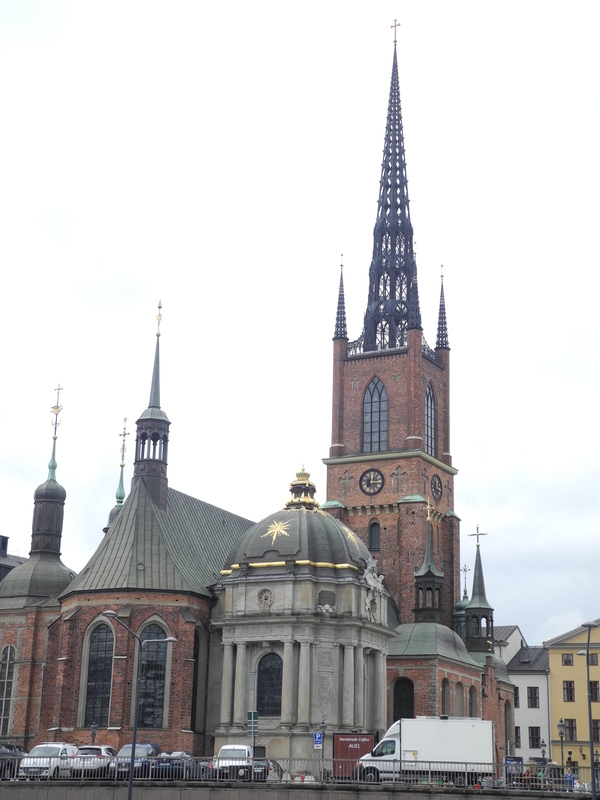 The great cities on the Baltic are very beautiful and special places. I enjoyed this post and brought back some fond memories. So jealous. Your cruise sounds amazing! Looks like Santi is going to be an explorer! No there were no bars for us, unfortunately … Next time! I definitely think Scandi chic is a thing, I’m far from it though! I want to look like I just stepped off a cruise in Sweden. Viking chic? Haha! No need to brush your hair for that one … I’m in!